Pancake Day is a fun event in the UK. In other countries it is called “Fat Tuesday” or “Mardi Gras”. This year, it was held on Tuesday, March 5th. In the UK, we make English pancakes with lemon and sugar toppings. We throw the pancakes in the air to turn them over. 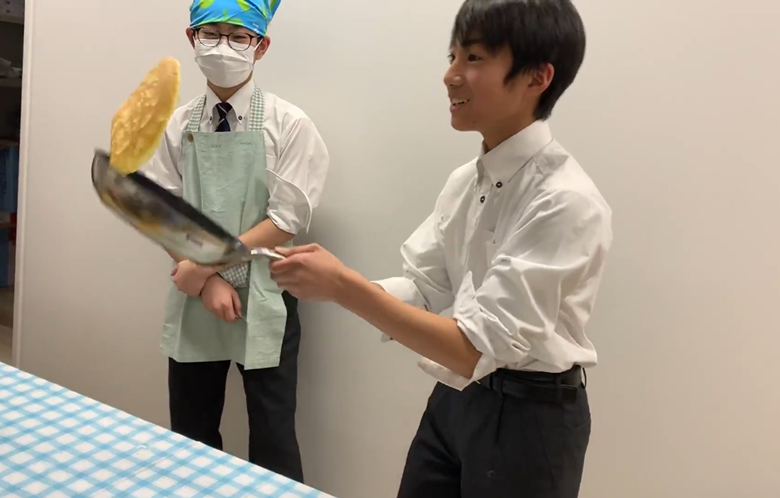 In English club, we enjoyed making and “tossing” pancakes. “Toss” means to throw something in the air.